Jubilee’s work was all about local people and artists coming together to make a difference in their communities. In the same spirit, you are invited to make your own contribution to help develop this website. Let’s make this a conversation – maybe even a new call for artists and communities to come together again to make a difference in equally challenging times! Or perhaps you just have a question about Jubilee – we’ll ask Steve and see if he knows. Send your responses, ideas or questions to: brendanjack(at)gmail.com. Derek Jones worked with Jubilee as an environmental artist. it wasn’t the only thing he did. 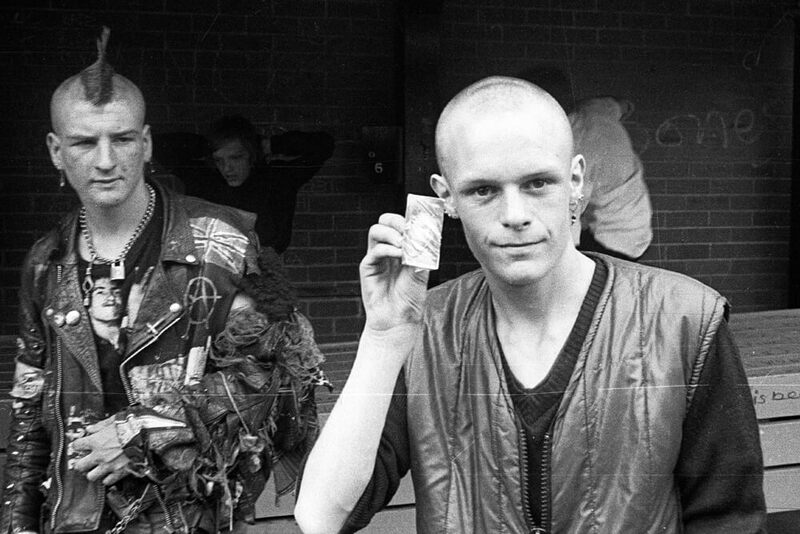 He recalls working on the Bus with punks in Tipton. 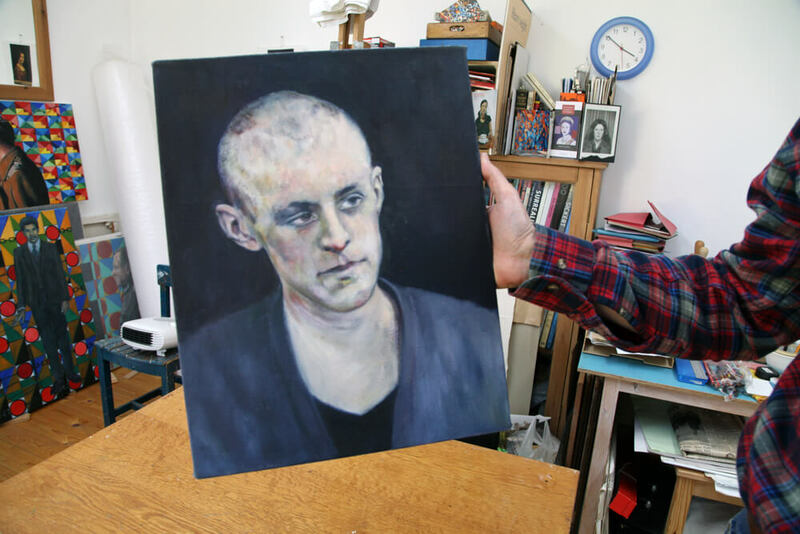 He made a painting of one of the lads and here it is, alongside an original photo of the ‘subject’. 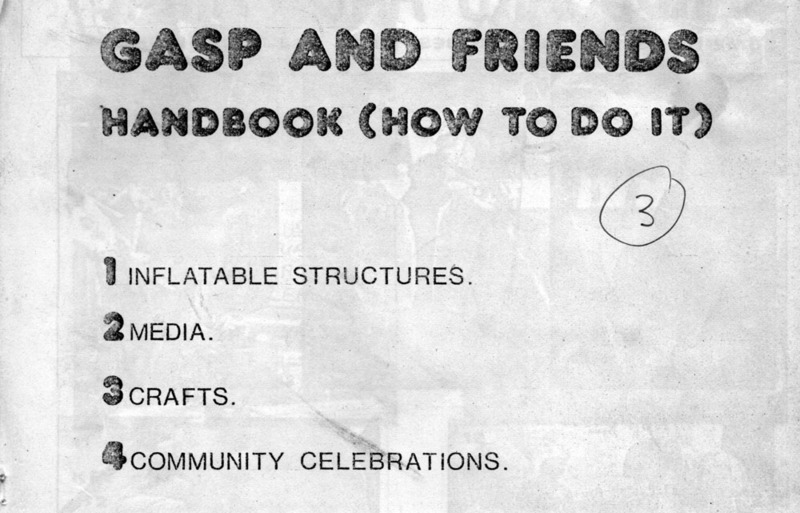 In the archive, we came across a photocopy of this great little handbook from GASP from 1975 – which stood for, as far as we know, Group Art Spectator Participation. Jules and Barry went on to found Saltley Print and Media (SPAM) in Birmingham and later in the 1980’s Jules worked at Action Factory in Blackburn. Jubilee picked up how-to-make-an-inflatable from the guys at GASP. In the pdf you’ll find tips on things to do with cardboard, timber, paint, playschemes, murals, youth activities and media. (Although it mentions inflatables on the front, we don’t have any pages about this…) They were inventive, these artists, in that particular DIY way they had back in the 1970s, ‘making things out of next-to-nothing, and the world about them a better and more interesting place’. Inflatables remain popular with artists (and not just the art stars like Paul McCarthy and Jeff Koons). Have a look at the work of the the arts group Tools For Action… and an interview with one of their members Artur Van Balen for the show ‘Disobedient Objects’ at the V&A in London. Want to make your own? Have a look at this video. Note: Harry Henderson worked with GASP for a while, and later he was the community artist for Community Links on the West Smethwick Estate. See the section on Smethwick Music Workshop for more about that.